The RYA day skipper theory course is a class room based course to ensure you know how to plot and navigate a safe course during the day time, it includes safety so you know how to act and prepare for you plotted course, seamanship which tells you how to act on when out in your boat, there is the actual navigation part of the course which is the most important part of it this ensures you know how to plot a course to show where you are going and it also includes the SAT NAV and GPS so you can use the best tech out there for your boats. This course teaches you in short how to plot a safe course in according to the maritime regulations. 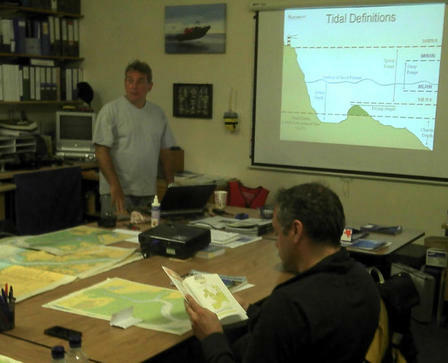 Yachtmaster theory is a popular shore based course and forms an integral part of the Yachatmaster training. Yachtmaster theory is a shore based course intended to build your knowledge of Navigation and Weather to the level required for the practical exams for Coastal Skipper and Yachtmaster Offshore. The course is taught over 5 Days and covers the following key areas in detail.